• ETH 2.0 has no lead, and could benefit from one. 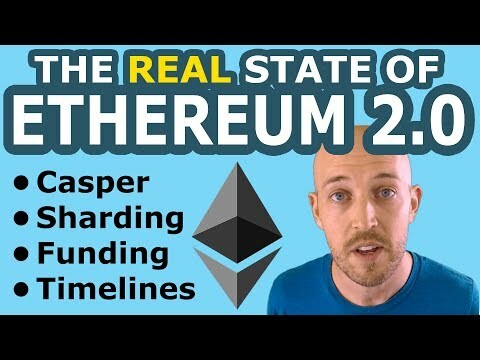 • ETH 2.0 implementation has been stalled by the specification constantly changing underneath implementors "spec is almost completely changed from middle of last year", etc. • Research people are not communicating much on expected time frames, so there is a lot of misleading info/speculation being passed around from people outside R&D. • Implementors are concerned about funding. • Implementors do not feel comfortable pushing back against research on changes for a variety of reasons, leading to further lack of stability. • The rate of change in the spec has discouraged implementation work. • Research has started to version segments of the spec to provide further clarity on what's ready and what they expect to change. • ETH 2.0 won't be transformational for smart contracts until Phase 0/1/2 are complete and cross-shard contract communication is live. ⚫ For the past 3 years ETH has been the largest holding in my portfolio. I have held more ETH than any other asset in my portolio for 3 years. [show pie chart before (40% ETH) and after] As a result of this latest news, I decided to convert 1/3 of my ETH to EOS.